The British Hen Welfare Trust were looking for homes for 1700 hens over the weekend, these girls were caged hens who had reached the end of their working lives at 17 months old and would otherwise be crated up and start their journey to the abattoir. Lonesome Lily had grown increasingly sad and so it was decided that she needed a friend… or two. So I set off on a road trip to Essex to rescue two girls. Arriving at a really pretty farm collection point I had no idea what to expect, after signing in I queued (a British obsession) for the girls that would be returning home with me. 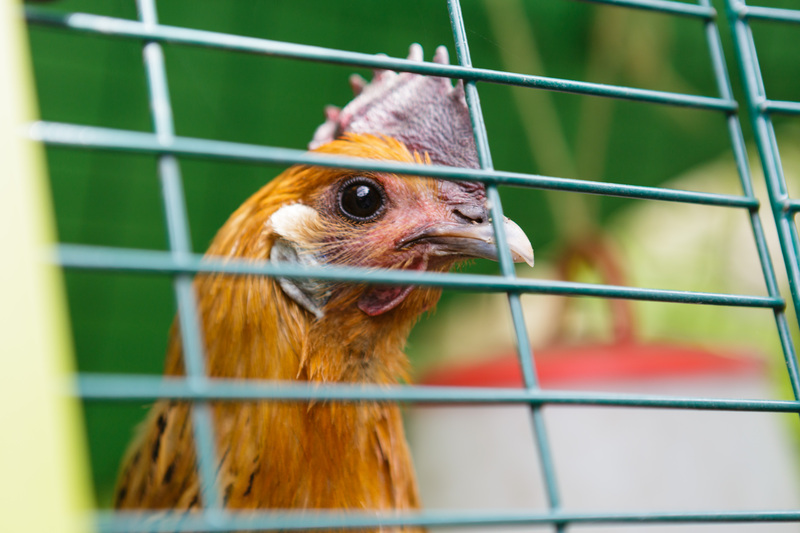 People in front of me prepared their cardboard boxes with little rectangular holes in the side to receive theirs and I watched as one featherless, hen-pecked hen at a time had their extra-long claws clipped and was placed in a box ready to be carried to the car. The lady in front of me told me how she had rescued six hens six months ago and felt obligated to rescue another six (which turned into seven, her lucky husband!) as she had the space. 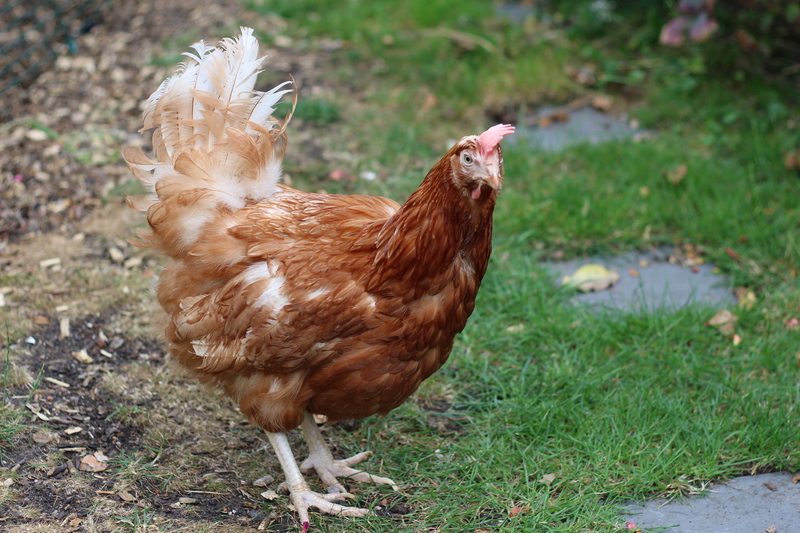 Her hens she told me were bonkers but healthy, she asked me about my experience, not wanting to frighten her (she seemed quite nervous) I kept quiet saying only that my hens had got poorly and died leaving Lily in need of a friend. She had brought her daughter with her, perhaps about three or four years old, as hens were placed in boxes she became increasingly scared of the very strange, pale, naked hens that would be coming home with her. Mum reassured her that they would look like their other girls at home, but she needed to help her make them better. One of their girls had no feathers at all on her head and neck, though I had an idea of what to expect, I was shocked. Battery farming was banned in 2012 however colony cage hens remain, these cages have more space but are inside with no natural light. Clearly these hens are bored and stressed leaving them no alternative pastime than to peck at each other. How can this practice still be legal? The sneaky thing is you might think that you haven’t contributed to these girls misery because you buy free range but they are often hidden in convenience food like ready meals, pasta and cakes or are sold in restaurants where there isn’t the option of checking the label. The moral of this story, one we all need to learn, for the sake of girls like Poppy and Clover (my two Essex girls)… always check. 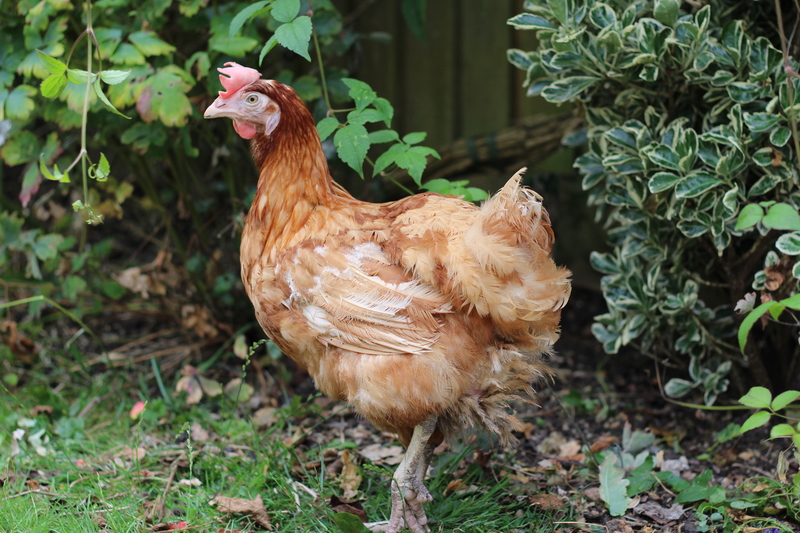 Sadly Violet is no more… Lily the lonesome struts around her run, crowing like a cockerel in search of someone to keep her company. During the days following Violet’s demise Tilly, our similarly coloured cat, sat on a wooden toadstool at the end of the run keeping her company. Tilly never sits there usually, perhaps she could see that Lily was in need of a companion? When this stopped I decided to let Lily completely free range in our garden so she could seek out our company when she needed it, this was not a success as one of my twins developed a taste for chicken poo and Lily had to return to the confines of her run. We all try and visit her regularly with offerings of raspberries or something equally yummy but although chirpier I fear she is still lonely. You might think “why has she not gone out and got another chicken or given her away!? 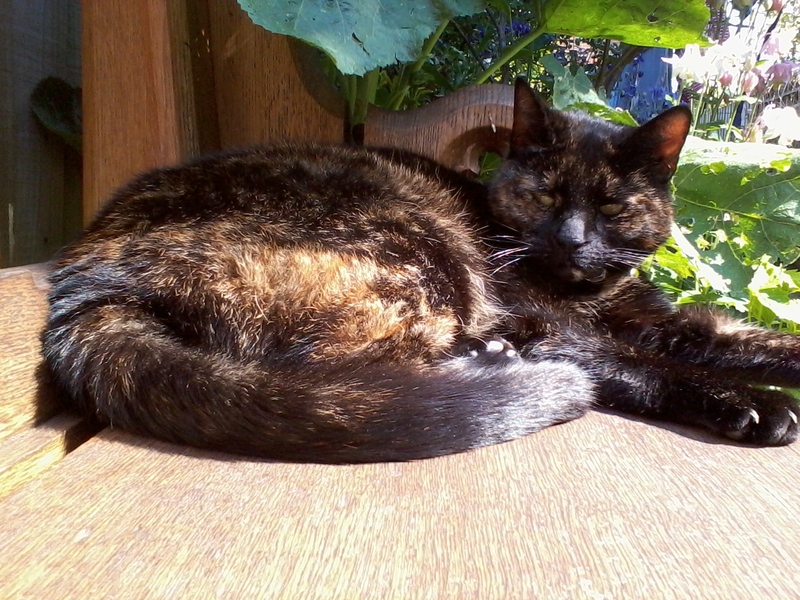 !” Lily was a poorly girl when she arrived with us and the vet suspected she was a carrier of a very serious, sometimes fatal, infectious respiratory disease called Mycoplasma. When carriers become stressed their symptoms may reappear and spread to other birds. Introducing her to a new flock or giving her a new friend may cause stress and illness. My twins are suffering from their second round of tonsillitis in 3 weeks with only 3 days of almost recovered joy in between. Sleep is a distant memory for us all, so just the thought of sick chickens to care for too is exhausting and frankly impossible.